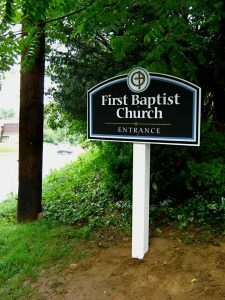 Photos: First Baptist Church of Shelton, CT signs — at left, sign viewed heading northwest (towards Monroe); right, small sign viewed heading southeast (towards Shelton Center). 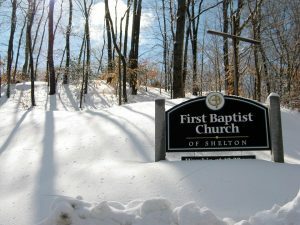 First Baptist Shelton is in a beautiful setting on Leavenworth Road (CT-110) in Shelton, just below Oronoque Farms and less than a mile above Indian Well State Reservation. Our church site is also about a mile below Beardsley Cider Mill and Orchards, and 2.3 miles from Jones Family Farms. If you are driving from CT Route 8, we are 3.1 miles northwest of exit 14, on CT-110 (Howe Avenue, which becomes Leavenworth Road). 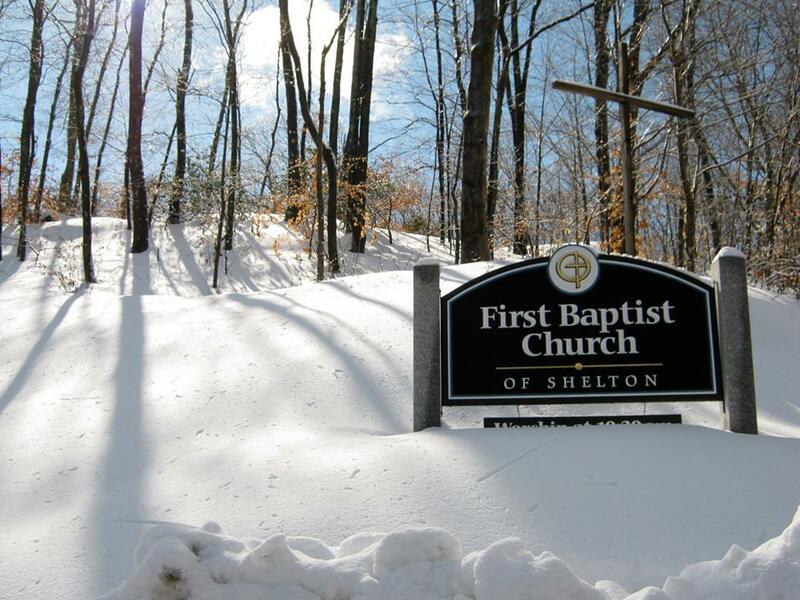 Look for our church sign at left, just 0.9 mile past Indian Well State Park. 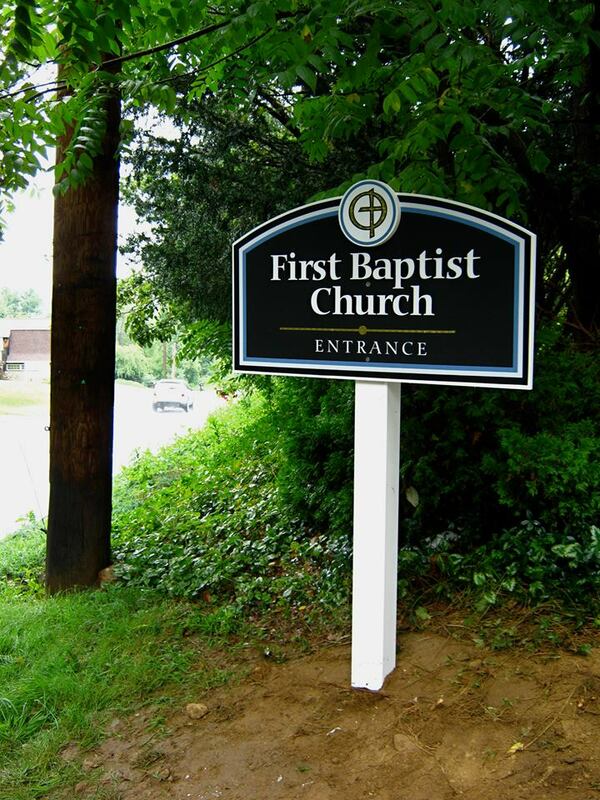 First Baptist Church of Shelton, CT (First Baptist Shelton, CT) — Inviting people to know Jesus and to make Him known.